Interesting idea from Adidas Originals – make a retro-styled track top, but make it with one eye on the environment. authentic styling without harming the planet, using a natural linen blend for a light and comfortable feel. 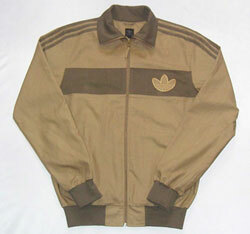 Available in khaki only,the track top retails for £60.